As Partner Marketing Manager, Samantha's primary role is to drive the creation and evolution of Datto's Global Partner Program. This includes working and engaging with many different aspects of Datto's business including Marketing, Sales, Support, and Business Development, all with the goal of enabling our Partners to grow. With over 6 years of experience, presenting and educating IT Solution Providers, Samantha has extensive experience in IT hardware and software best practices. Datto is a 100% Channel only organization working directly with the Channel. Facilitating the growth and achievement of Datto's customer base is a critical part of her job. Samantha has been recognized alongside Datto at many IT events including ASCII, XChange, HTG, ChannelPro. She's been named to the 2014, 2015, 2016 and 2017 "CRN Women of the Channel" list, the 2015 CRN "Up and Comers" list, the 2014 MSPmentor 250: Top People in Managed Services, recipient of the 2015 CompTIA Channel Changers award and most recently accepted the inaugural Rising Star award of Cloud Computing from the Cloud Girls organization. She is the Vice Chair for the CompTIA Cloud Community as well as one of the Champions to start the CompTIA Future Leaders Community. In the last year, Samantha has single handedly designed, implemented, led the execution of Datto's Global Partner Program and on-boarding processes which received a 5 star rating by CRN in its first year. Today, she manages the ongoing assessment of the partner program, analyzing data and gathering stakeholder input on how it's working, what needs adjusting, and overseeing the growth of the program. Samantha has created appealing incentives and benefits for channel partners to stay motivated and reward growth. She has led the development of channel-based demand generation and promotional programs to help partners grow their business, including sales promotions, brand-able and reusable marketing programs for partners, and one-to-many programs for field team execution. She has developed a collaborative and engaging onboarding process for new partners to ramp up quickly and successfully and has built sales and marketing eLearning course curriculums for Managed Service Providers as requirements to advance through the Global Partner Program. Following the 2017 merger of Datto and Autotask, Samantha also led communications to all partners and provided any support needed during the organizational changes, keeping Datto partners the company's main focus. Samantha's overarching goal is to leverage current programs and develop new programs to contribute to Datto's significant growth targets. A huge factor of that is integrating the legacy Datto Global Partner Program and legacy Autotask Partner Programs. Ciaccia will also oversee that partners complete training certifications including technical, sales, and marketing courses to empower them to become more efficient and grow faster. 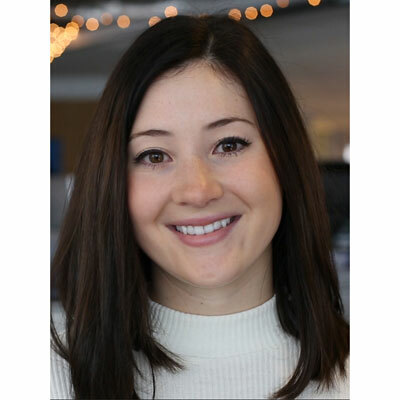 She also strives to increase the quantity of Not For Resale products in partners hands, increase adoption of Datto's marketing automation platform (MarketNow), and grow partners through the partner program tiered structure, based on Monthly Recurring Revenue (MRR). Samantha was named a CRN Woman of the Channel in 2017 (4th consecutive year). She manages Datto's Global Partner Program, Cloud Partner Program and Network Connectivity Partner Program. All were recognized for excellence by CRN in 2017. At Datto's Sales & Marketing Kickoff event she received the MSP Whisperer award, a testament to her passion for the Channel. She's served as the Vice Chair of CompTIA's Cloud Community for the last two years and was featured in an article, "Get Samantha Ciaccia's Story: A Commitment to Giving Leads to a Successful Channel Career," honoring her contributions to the IT Channel. Samantha's had the opportunity to interact/work alongside Cristina Greysman (Chair of CompTIA's Advancing Women in IT Community) and truly admires her level of engagement, dedication, and inquisitiveness. Cristina is a well known and respected staple in the industry. Samantha constantly notices her in live meetings or conference calls, which can sometimes be a hard platform to stand out in. Cristina is always listening to her peers, eager to learn, asking questions, or providing her insight on any topic. As Samantha is learning and growing in her career, Cristina has been an inspiring role model to look up to. Samantha would tell her 16-year-old self to never compare herself to others. In the tech industry, there are different types of people with different strengths. In engineering and development you'll find very technical people with skills in coding. From marketing and creative you'll find artsy people who can make anything look and sound appealing. From finance you'll find people so talented with numbers and excel spreadsheets, it would make your head spin. Have a strong focus on your strengths. Never compare yourself to others, because it's the fastest way to feel inferior with that wide of scope of talented people. If Samantha could master any new job-related skill, it would be data analytics within excel. As her career and organization has evolved over the years, she's learned that metrics and KPIs are the driving force and support behind every new initiative, program, and idea. Samantha has strong interpersonal, communication, and creative skills and would love to wake up one morning with an expert skill in excel and analyzing data trends. The best book Samantha read this past year was "Don't Sweat the Small Stuff...and It's All Small Stuff" for three reasons. First, this phrase is something her Grandmother said tirelessly as she grew up. Second, it's a book where you can read one chapter a day and take a new positive mindset with you throughout the day. Third, it teaches you simple ways to keep the little things in life from affecting who you are any how you treat others. It's important to remind ourselves daily of what's important and what kind of person we want to be.